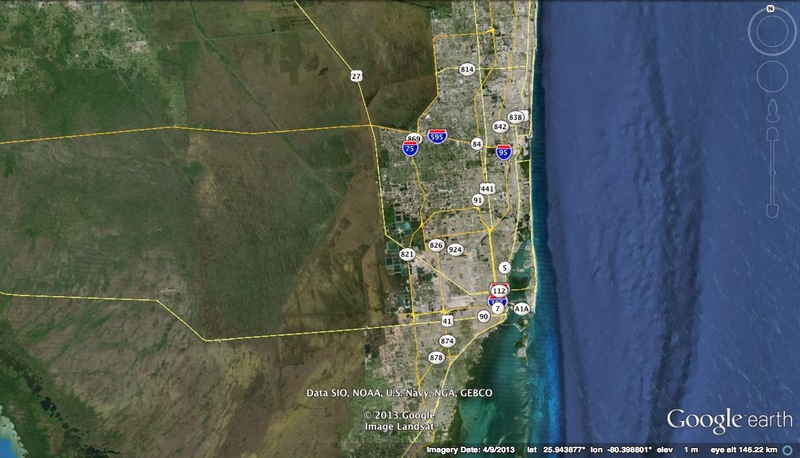 The cities in south Florida cling to the east coast to avoid the enormous wet grasslands (see Google earth photo below). The main east-west highway through this densely populated sliver of land is I-95. 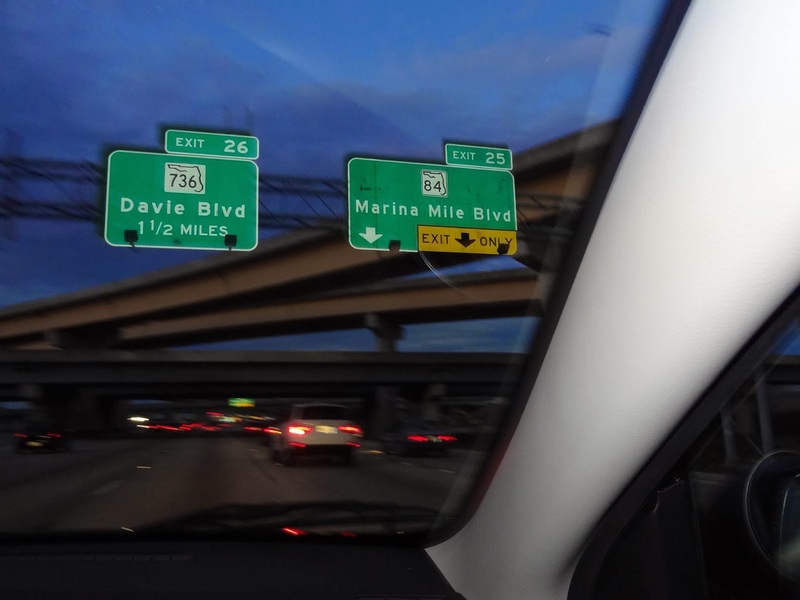 Driving back and forth along I-95, the bridges I observed were mostly connectors and overcrossings (see photo above). These bridges are composed of steel or precast concrete girder simple spans tied together with a concrete deck and sitting on single or multi-column bents. Again, not particularly attractive but they get the job done. 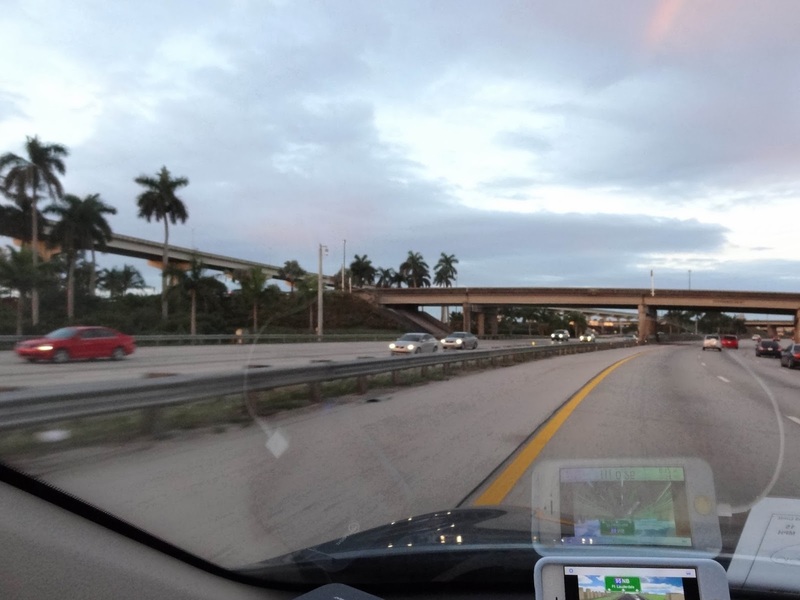 However, while driving by the Fort Lauderdale airport I saw the big I-95/I-595/I-75 interchange with each connector painted a different color. I couldn't get much of a photo in the gathering darkness, but looking at Google earth in 'Street View' I was able to find a nice picture of this structurally uninspiring but delightfully colored interchange. 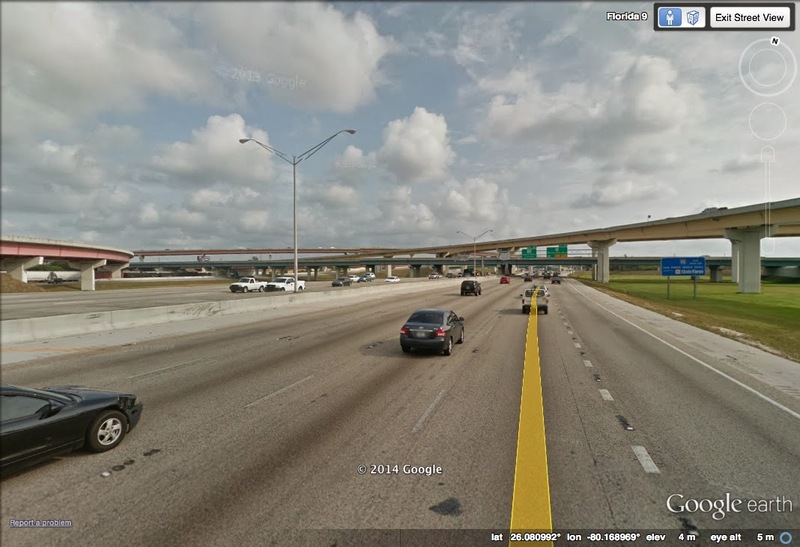 Broward County, Florida Bridges: I-75/I-95/I-595 Interchange by Mark Yashinsky is licensed under a Creative Commons Attribution-NonCommercial-NoDerivatives 4.0 International License.